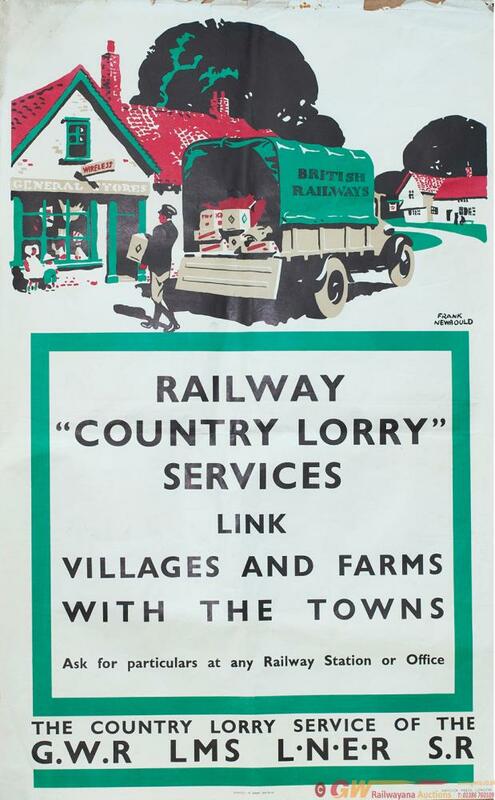 Poster GWR/LMS/LNER/SR RAILWAY COUNTRY LORRY SERVICES LINK VILLAGES AND FARMS WITH THE TOWNS by Frank Newbould. Double Royal 25in x 40in published in 1935 and printed by Haycock Press London. In good condition with small tears and loss to top edge.